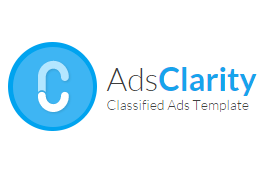 Add Classified feature to your Joomla! 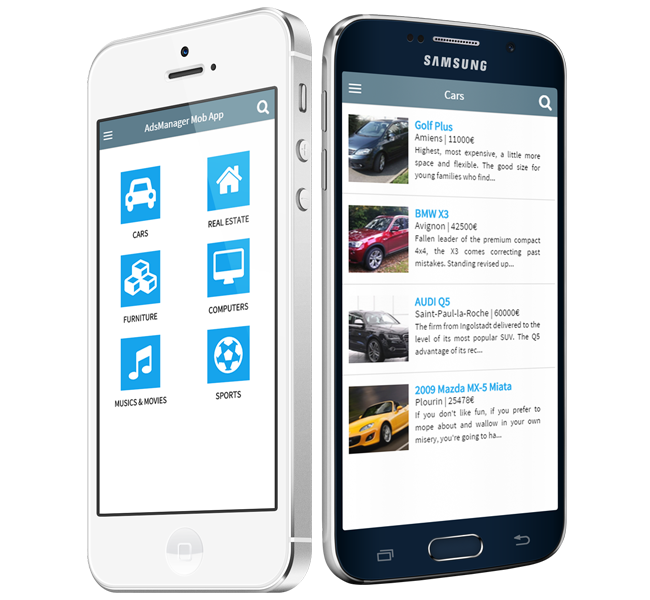 Your Classified Website on iOS/Android ! We provide high quality extensions to get the best of Joomla! All our extensions comes with documentation and full support. 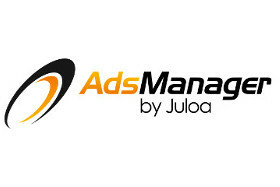 AdsManager, Classified Ads component for Joomla! 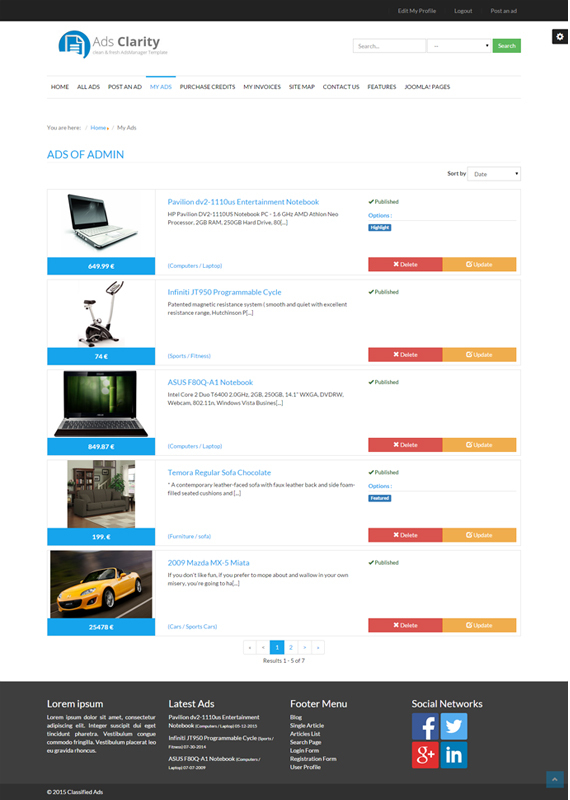 Real Estate, Cars, Pets, Electronics, Furniture, ... whatever your classified project is, AdsManager can be configured to fit many needs. 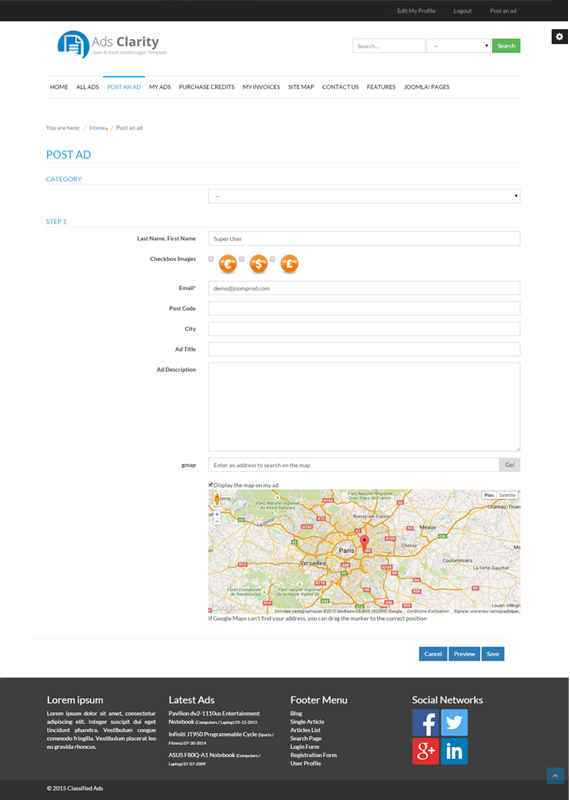 If you are a webmaster and not a developer, you will like Adsmanager as a ready to deploy solution. With just a few click, create your custom fields and categories, set an duration and configure the component easily. 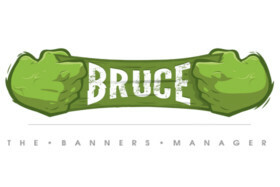 If you are a developer and you want a component that can be easily adapted or extended. AdsManager is for you. 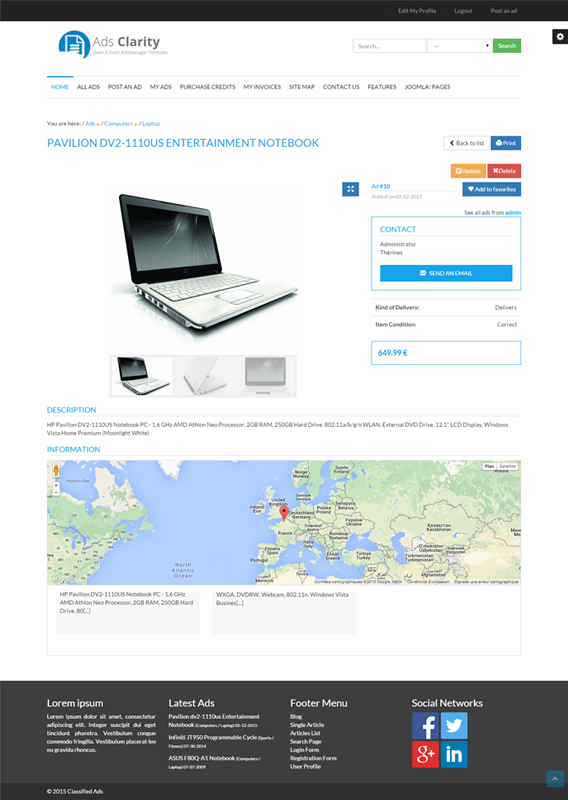 The code has been written using the MVC Joomla architecture. 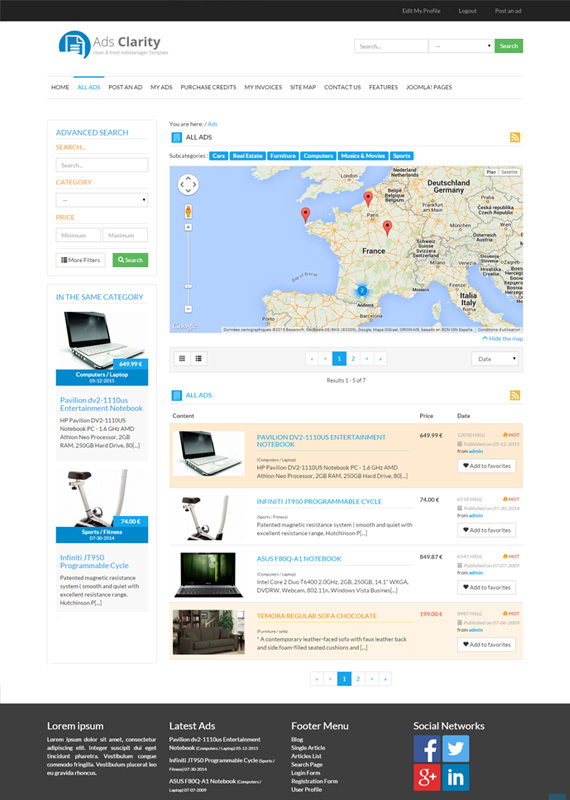 The screenshot are made by using AdsManager Gold with the AdsClarity template.